#anonymous past and future | What's that you said? Anyway, I thought the article offered a good perspective on what’s going on with Anonymous and the world at large, both in origins and where it is headed. Terminology, let alone our means of exchanging information, has changed to such a degree that many essential discussions in today’s “communications age” would be entirely incomprehensible to many two decades ago. As the social, political and technological environment has developed, some have already begun to explore new options, seizing new chances for digital activism – and more will soon join in. It is time for the rest of the world to understand why. Very much agreed… this is what I have been blogging in particular about for the last few months now, although I have been witness and participant for — ouch — just over two decades now. When a release by WikiLeaks revealed the depravity of just how corrupt and horrid the Tunisian government really was, it prompted Tunisians to step up active dissent and take to the streets en masse for the first time. Now, I followed the Tunisian uprising via Twitter, from on-the-ground reporters. This was because I’d come across the Wikileaks articles on Tunisia previously. But the folks from Tunisia pretty much all confirmed that they already knew of the excesses and brutality of their government. So I think it would be far more accurate to characterize Wikileaks’ effect on Tunisia as informing Westerners of what was going on, and thus rendering us disposed to assist in online space. Afterall, people rarely act on anything unless they know enough about it to form strong opinions. Remember, information on the Internet goes both ways and I think it’s too easy for most of us to think we have information that “the rest of the world” has yet to find out about. But I think in this case it’s very clear that the ones learning were us. Not the Tunisians. In response, a loose network of participants within the international Anonymous protest organisation attacked non-essential government websites – those not providing direct services to Tunisians – at the prompting of our contacts. Several such sites were replaced with a message of support to the Tunisian people, while others were pushed offline via distributed denial of service (DDoS) attacks, involving thousands of computer users who request large amounts of data from a website simultaneously, overwhelming it. It’s a good overview, and gives an idea of the ways in which Anonymous will act. After all, it’s not just about starting up DoS attacks (which really, have a fairly limited utility, beyond garnering some attention) but quite a bit more. In 2007, some users proposed that the Church of Scientology be exposed for its unethical and sometimes violent conduct, sparking a coordinated global protest movement that differed from anything else seen, and which still continues today. Well, the global protest part may have been a new/first thing. But oh, the CoS and the Internet (long before even Mosaic was a gleam in anyone’s eye) have had a long and tangled history. 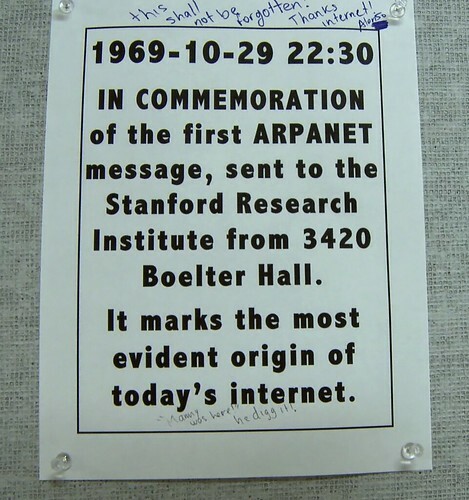 Long, freewheeling, and bitter arguments sprawled over multiple groups on Usenet, back in the day when that was the sin qua non of the ‘net’s online community. Not only were first hand accounts posted of people’s experiences with being brainwashed and abused by CoS, but also the “secret history” that CoS peddles — blather about Xenu and human souls deriving from some ancient alien intergalactic war (I haven’t read through this material in years, so I’m almost certainly underrepresenting it in my misrepresentation.) It all absolutely exploded when Erlich arrived on the scene after defecting from CoS.
You can find a lot more background here: History of COS and the Net and a more complete timeline here: Scientology versus the Internet. There is a reason, after all, that those of us who have seen the movement up close have dedicated our lives to what it stands for, and have even violated the modern Western taboo of believing in something. Today, I predict that Anonymous and entities like it will become far more significant over the next few years than is expected by most of our similarly irrelevant pundits – and this will, no doubt, turn out to be just as much of an understatement as anything else that has been written on the subject. The fact is that the technological infrastructure that allows these movements has been in place for well under a decade – but phenomena such as WikiLeaks and Anonymous have already appeared, expanded, and even become players within the geopolitical environment; others have come about since. Yes, I think things are moving faster and faster than ever before, than anticipated. These are exciting times to be able to witness and participate in. And the Internet lets all of us participate. 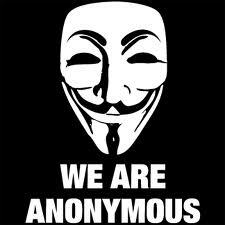 I consider myself Anonymous in spirit and do my best to pass along awareness of what is going on. This entry was posted in politics and tagged anonymous, online culture, scientology, tunisia, wikileaks. Bookmark the permalink.